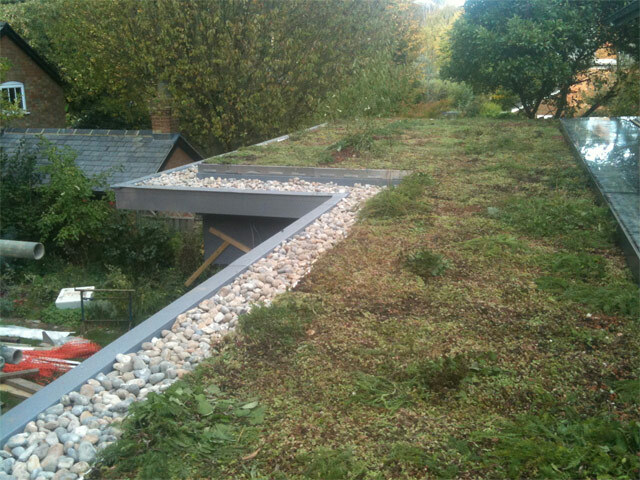 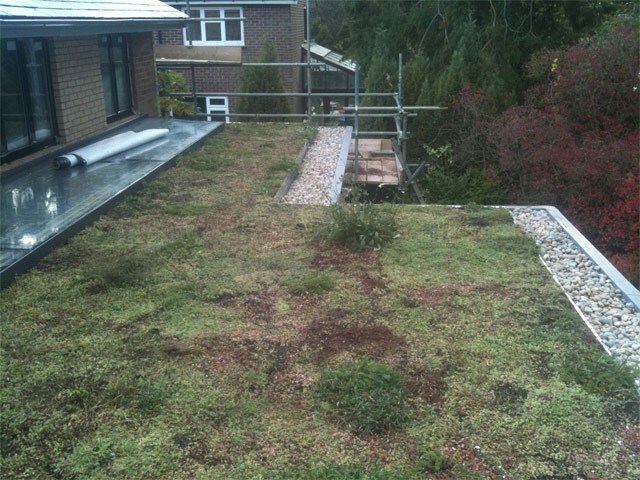 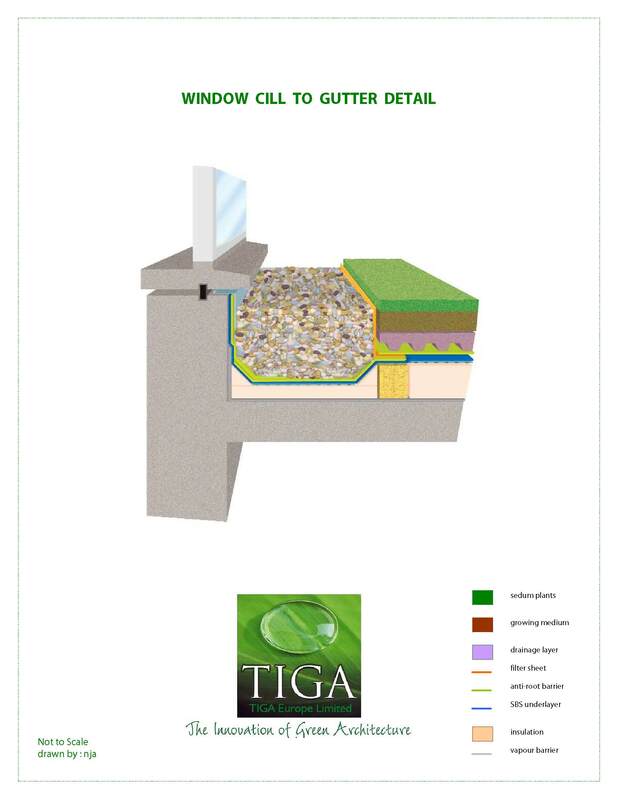 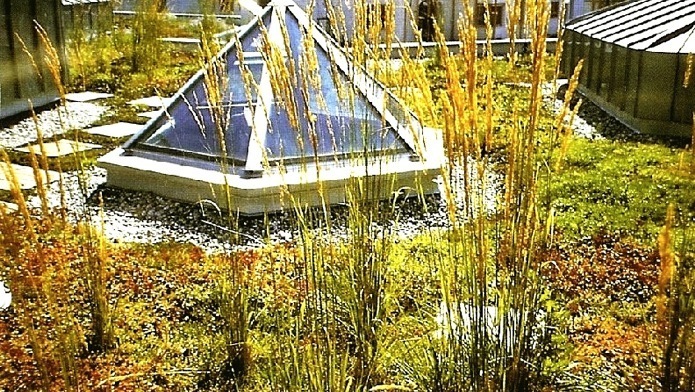 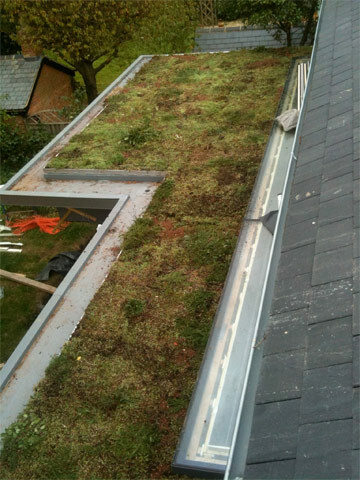 Intensive green roofs have greater planting medium depths in which any type of vegetation may grow, from lawn and groundcover to shrubs and trees. 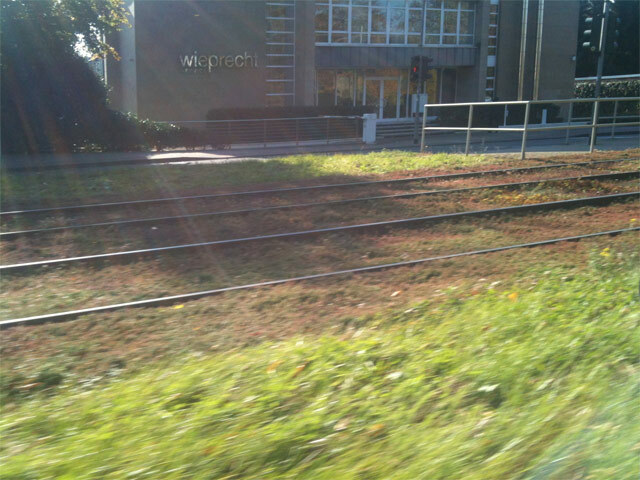 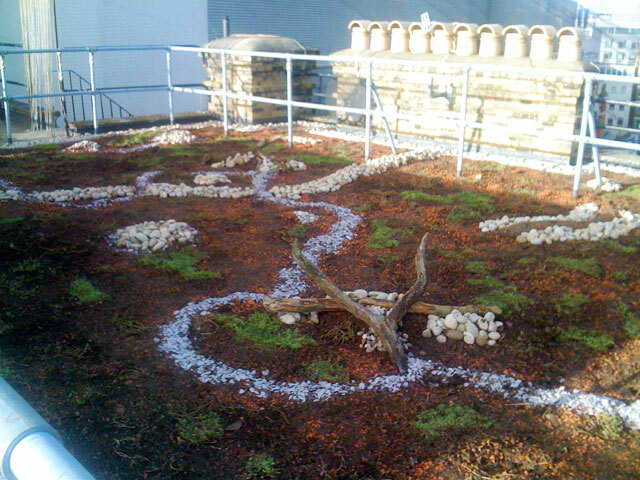 They are often accessible to people and activities and are often built in downtown areas where green space is limited. 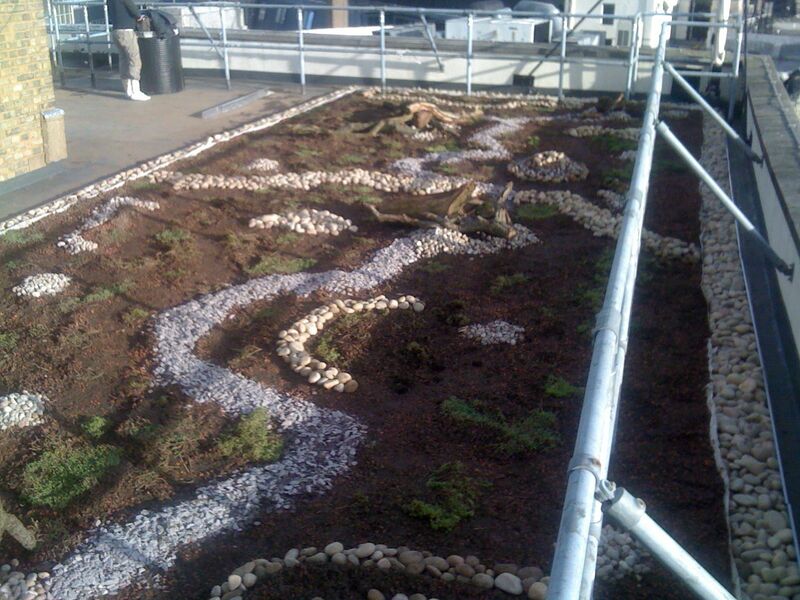 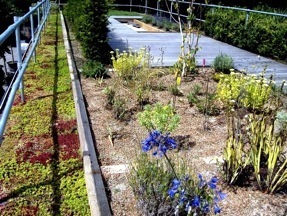 They represent slightly artificial environments compared to ground-based gardens, requiring more irrigation and care. 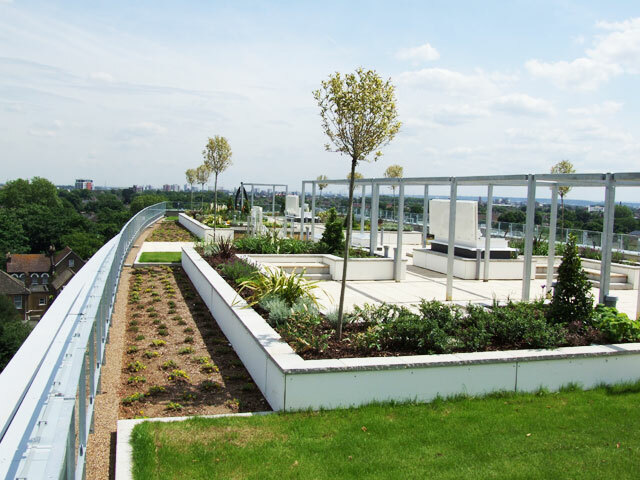 However, they do provide areas of amenity and tranquillity in urbanized areas, which can serve as respite for employees during breaks from their working day or a natural oasis in an area, where previously there was none. 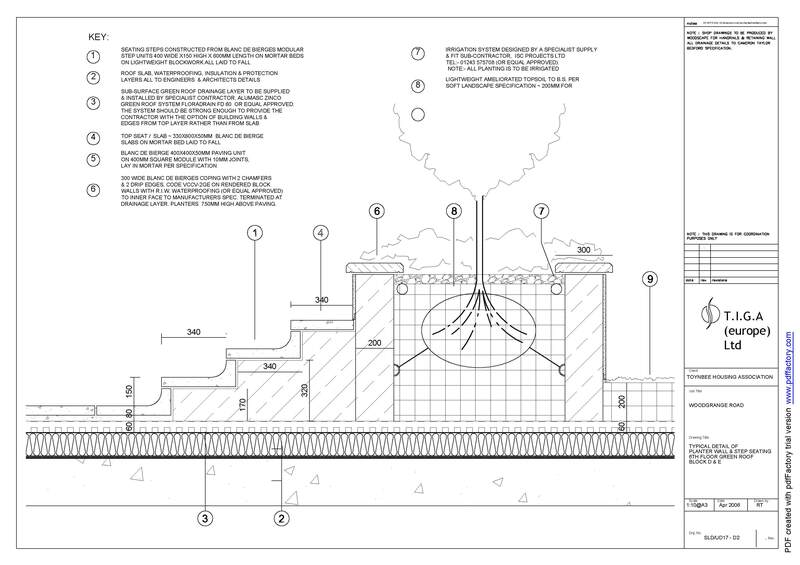 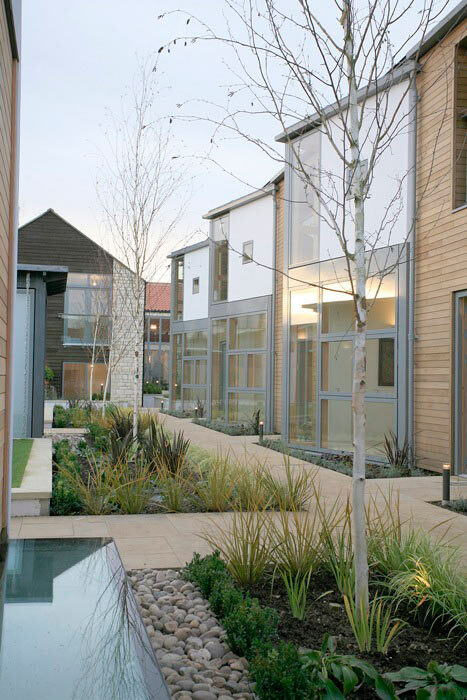 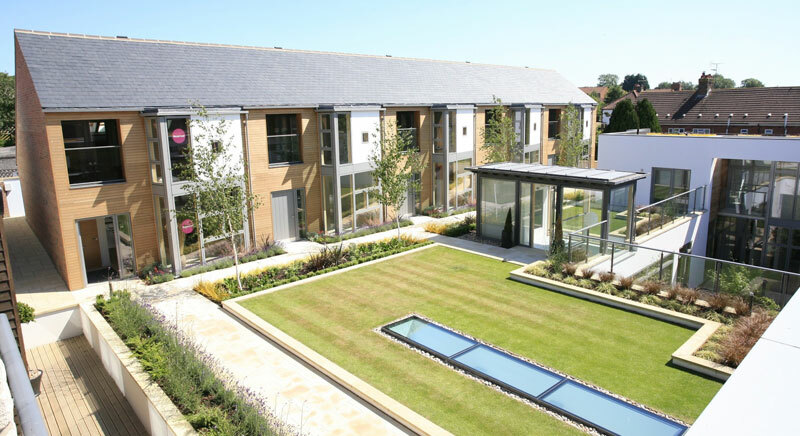 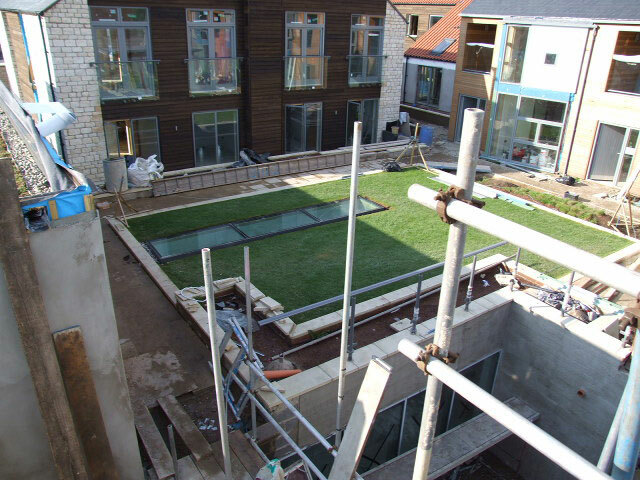 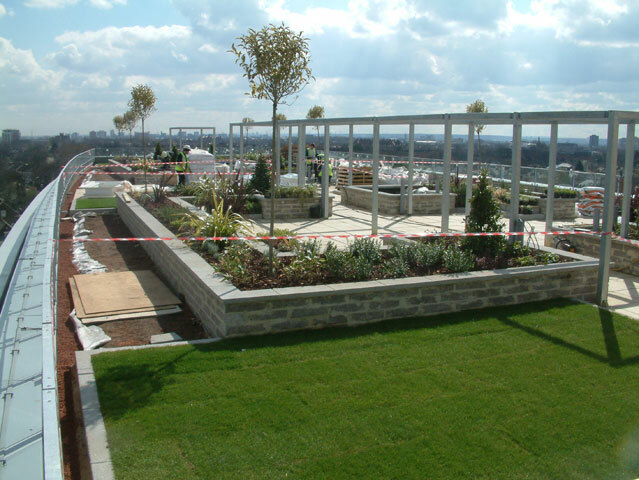 Designed from the 'top down', the client would specify the degree of hard and soft landscaping required and the planting schedule, this would then determine the build-up. 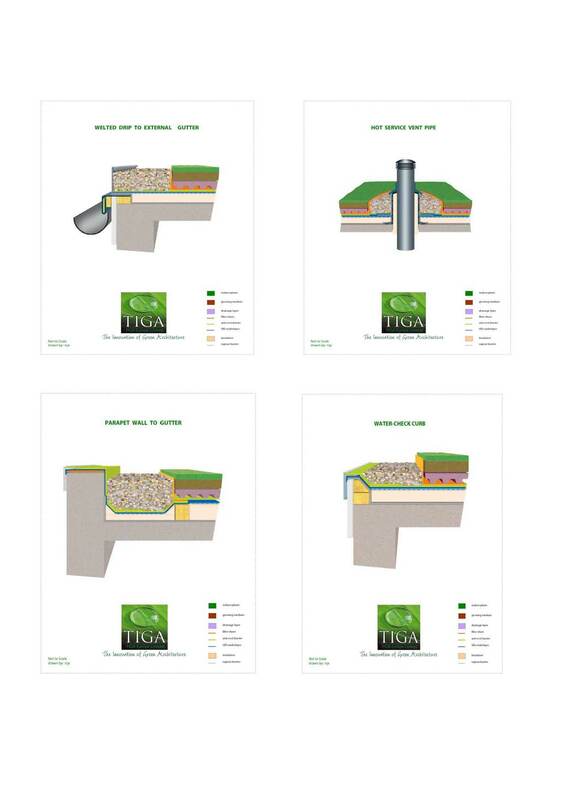 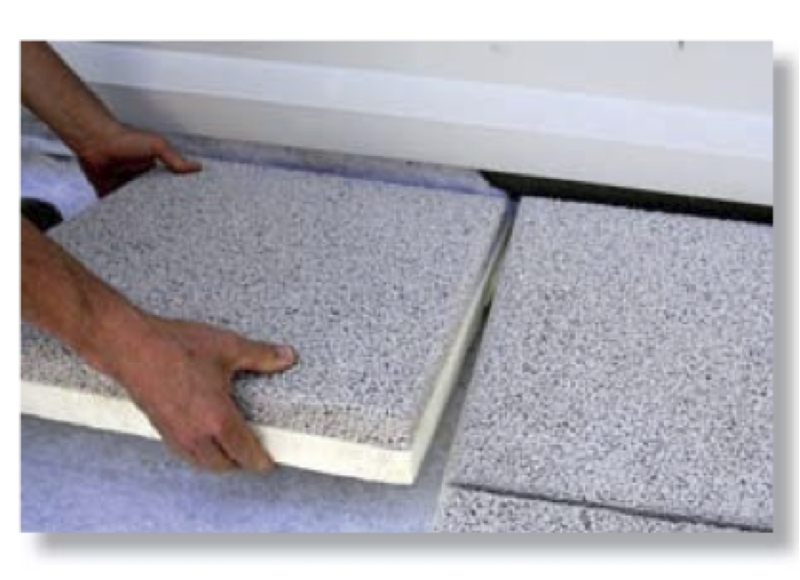 The retention capacity of the drainage layer, the density and composition of the growing media, though all of these design criteria are secondary to the 'point loading,' capability of the structural deck. 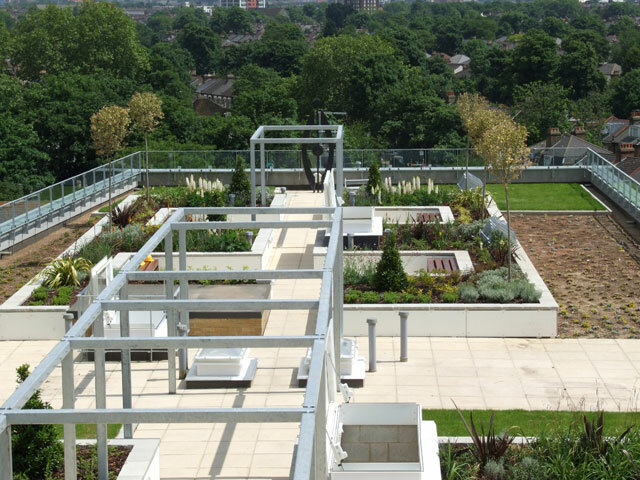 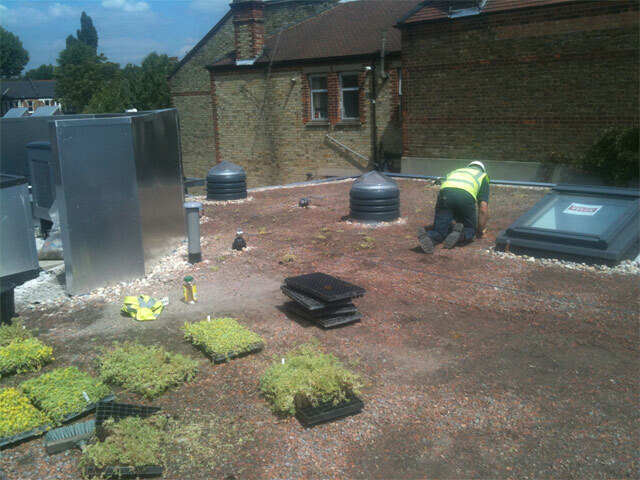 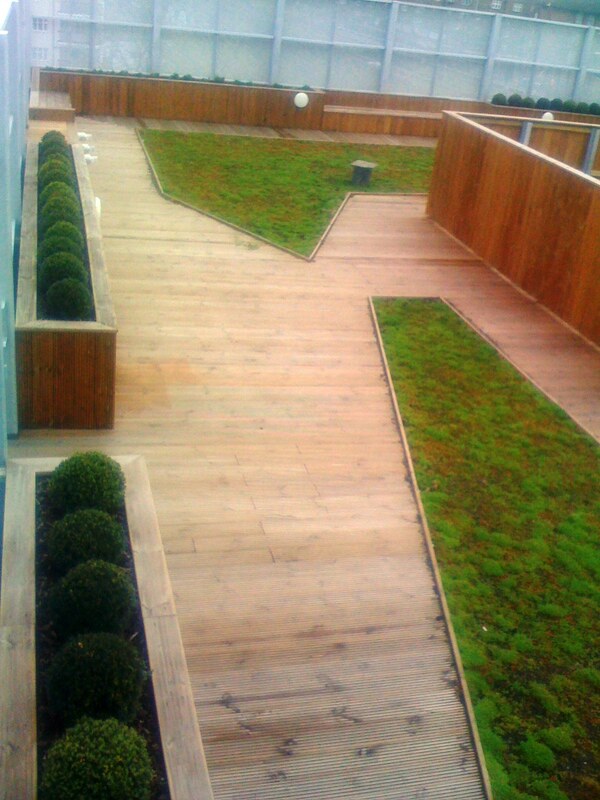 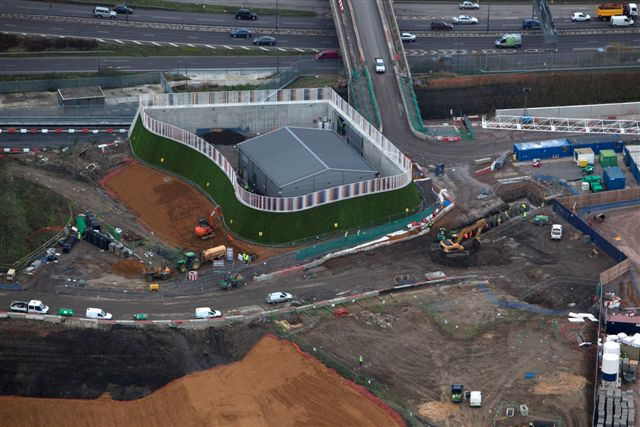 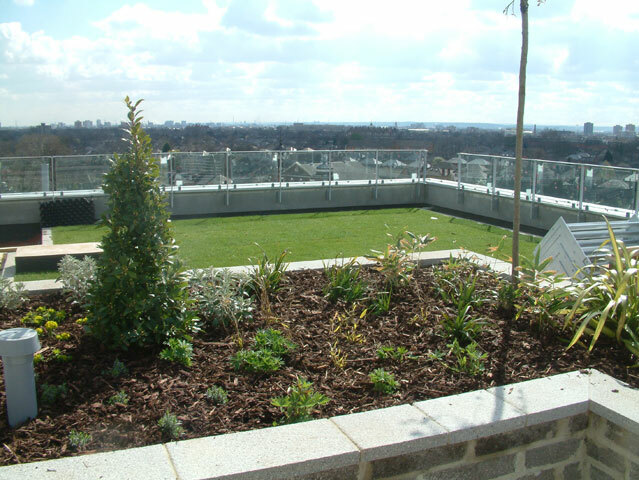 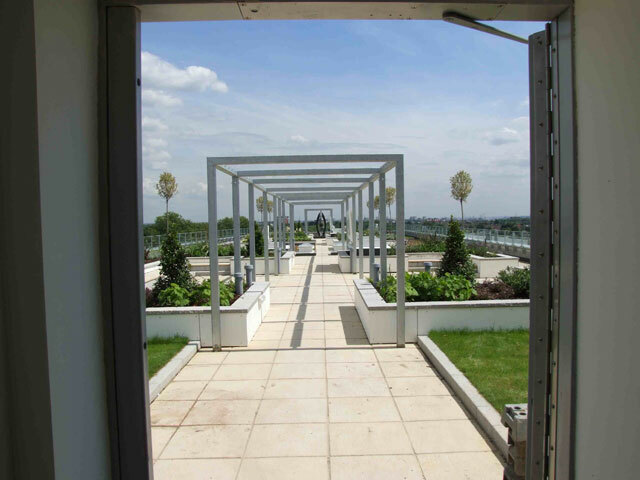 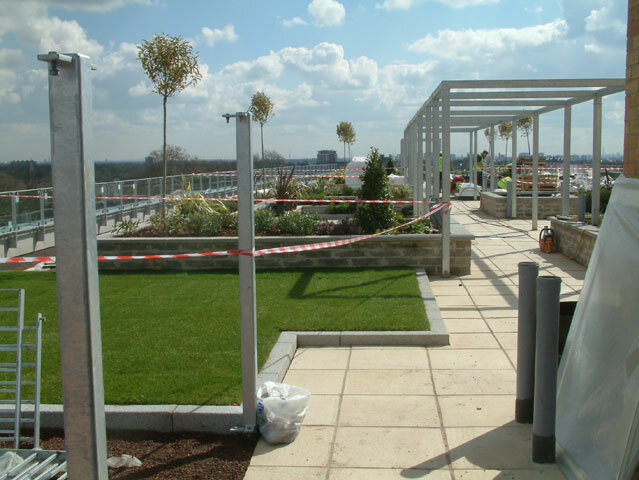 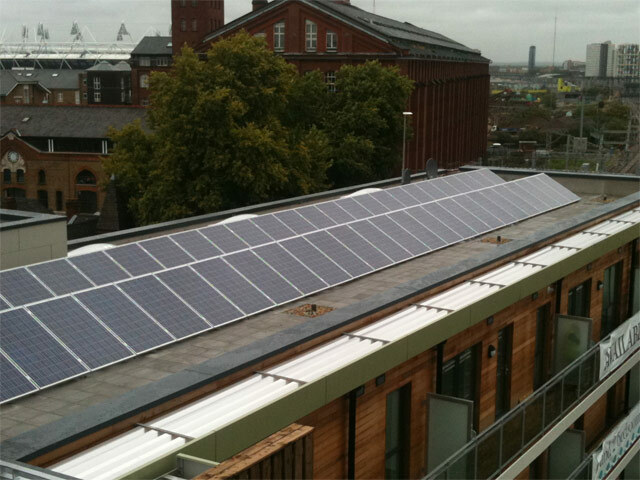 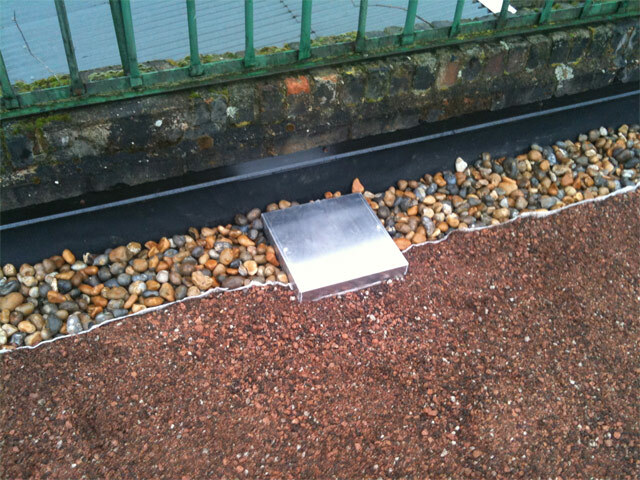 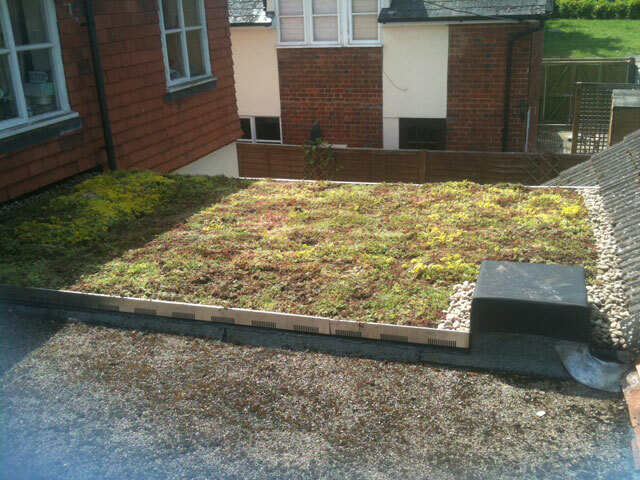 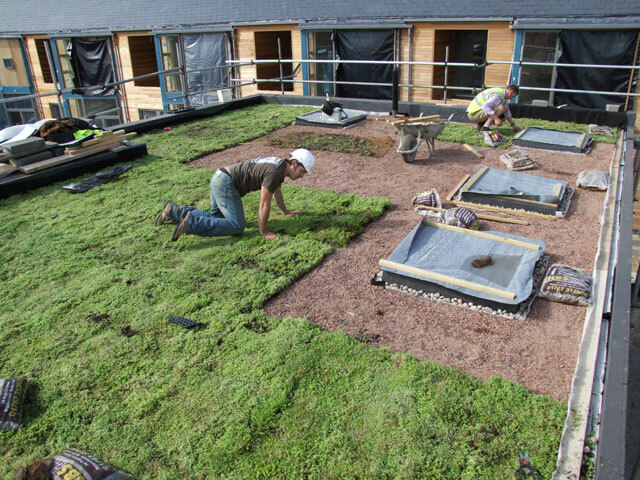 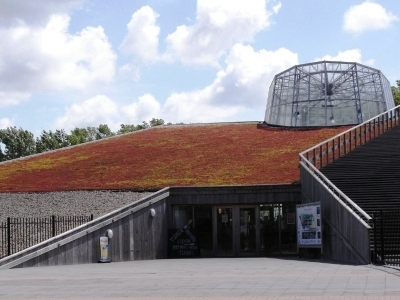 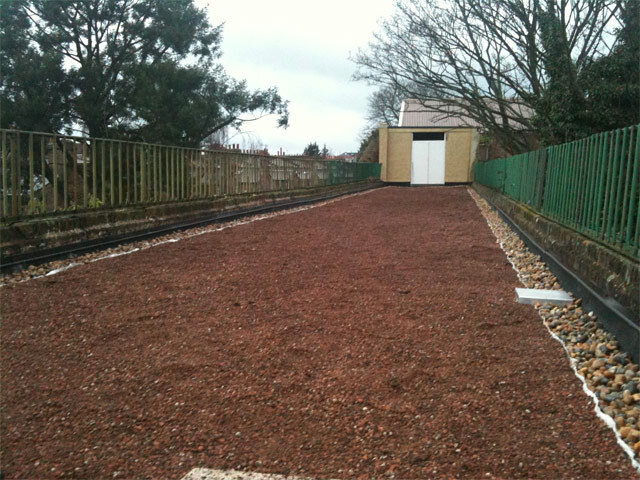 Accessible green roofs provide amenity space without taking up valuable group space. 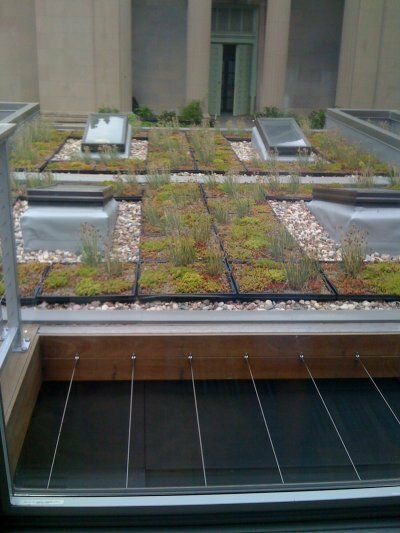 Vegetable gardens are a popular use for roofs in Manhattan where ground-based gardens seldom exist. 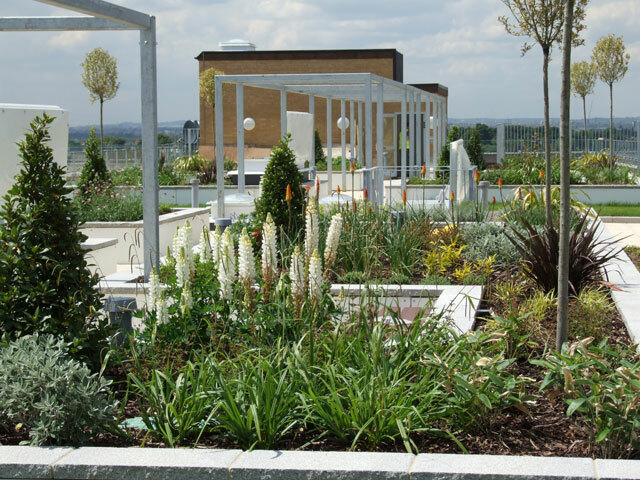 Ageing populations will also appreciate places in which to cultivate plans. 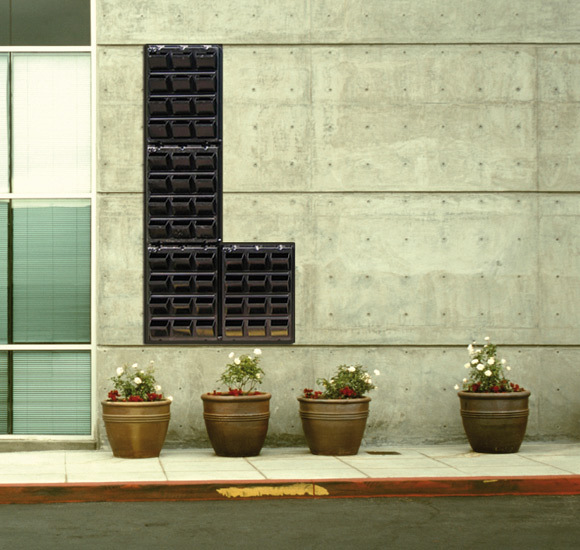 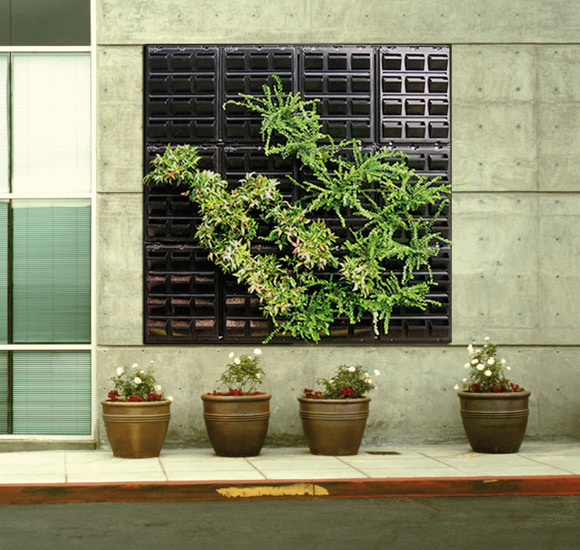 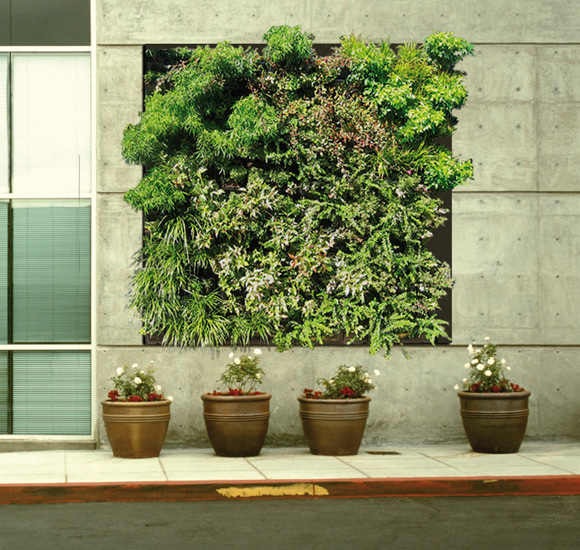 As populations become more urbanized, the need for urban green space is becoming more apparent. 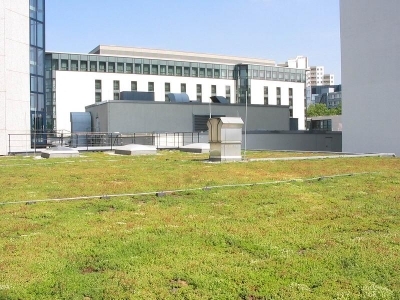 Because of their aesthetic and amenity value, green roofs and rooftop gardens have positive effect on real estate values.